Liana Werner-Gray understands how hard it is to find the time to take care of yourself; to keep up with her fast-paced life, she indulged in processed convenience foods until she landed in hospital and could no longer take her health for granted. She shared her journey to healing herself in her blog, The Earth Diet, which launched her best-selling book of the same name. Through the Earth Diet lifestyle, she has helped thousands of people with thyroid issues, eating disorders, cancer, diabetes, acne, addictions, and other afflictions. Liana’s readers and clients repeatedly commented that their biggest obstacle was a lack of time. 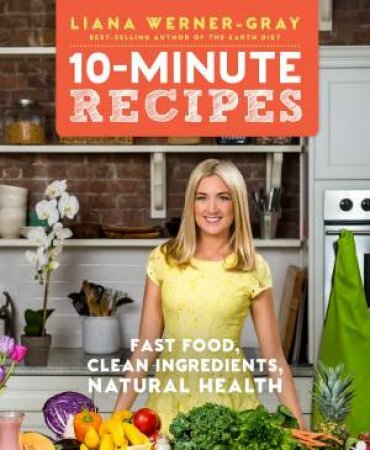 In 10-Minute Recipes, you will find more than 100 quick recipes and time-saving tips, to get more of the essential vitamins, minerals, and micronutrients your body needs into your diet—each of which can be prepared in 10 minutes or less.